The Mai Tai rum cocktail is a personal favourite because it is a drink that we enjoyed when we got married in the Cook islands. The bar staff would reach for the rum and start mixing as we approached. A Mai Tai is a delicious blend of white and golden rum flavoured with lime, orange and almond. The orange flavour is in the form of Cointreau or organge Curacao. The almond flour is from orgeat syrup. This is sometimes used in coffee flavourings so might be for sale in your coffee shop. 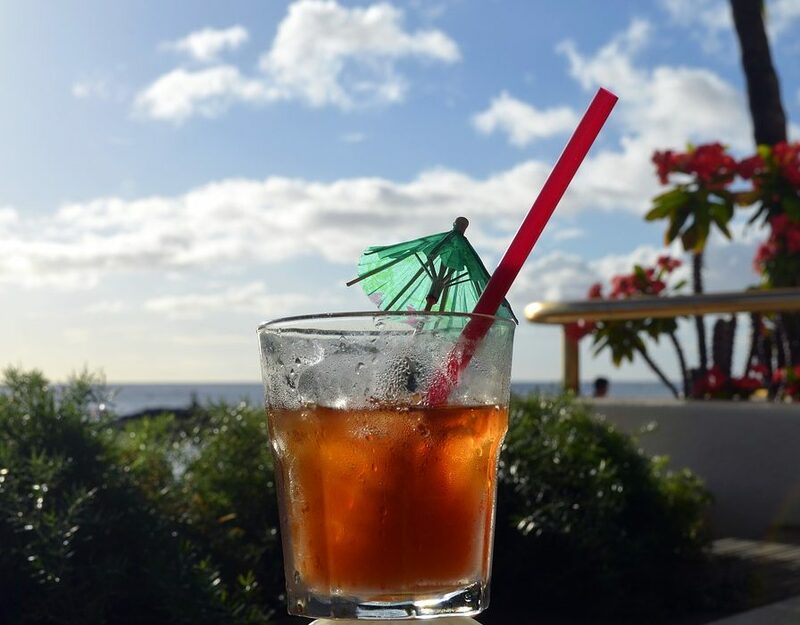 The garnishes for the Mai Tai vary from slices of orange, a cherry or twist of lime. As with many cocktails there are different variations but I like this one the best. Just make sure that the rum is of a good quality. Save the cheap stuff you have in the cupboard for guests. They will never know! In a cocktail shaker, pour all the ingredients. Add a cup of crushed ice and shake. Garnish with a slice of lime and mint sprig.